President Obama Calls Death Penalty "Deeply Troubling"
In an interview with Bill Keller of The Marshall Project, President Obama said the administration of the death penalty is "deeply troubling," and questioned the manner in which capital punishment is applied in the United States. While the President said that he is not opposed to capital punishment "in theory," he expressed concern about issues including racial bias, wrongful convictions, and botched executions. "We know, statistically, that there's a racial bias that has been built into the death penalty," the President said. "We know that it is hugely inefficient, it takes a long time. We know that there were people who've been on death row that have been freed because, later on, it's been proven that they were innocent. We know that, in the application of the death penalty, we've had recent cases in which, by any standard, it has not been swift and painless, but rather, gruesome and clumsy. And all of this, I think, has led me to express some very significant reservations." 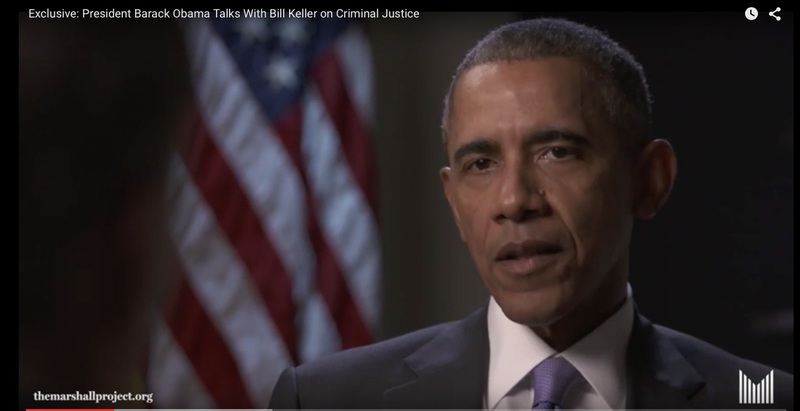 President Obama said that these reservations had led him to direct the Department of Justice to "take a hard look" at the death penalty, and that "at a time when we're ... thinking about how to make the system more fair, more just," an examination of the death penalty should be included as part of efforts to bring about broader federal criminal justice reform. Read more about President Obama Calls Death Penalty "Deeply Troubling"
Defense lawyers have filed a motion in the case of Richard Glossip (pictured) alleging that two witnesses who have come forward with evidence of Glossip's innocence have been intimidated by prosecutors. Glossip was sentenced to death for the murder of Barry Van Treese, based upon the testimony of the actual killer, Justin Sneed, who was spared the death penalty in exhange for testifying that Glossip had offered him thousands of dollars to kill Van Treese. On September 23, Glossip's attorneys filed allegations that Michael Scott and Joseph Tapley had been arrested and interrogated by prosecutors in retaliation for providing statements that Sneed had acted alone. Prior to Glossip's scheduled September 16 execution, Scott had provided an affidavit stating that, "Among all the inmates, it was common knowledge that Justin Sneed lied and sold Richard Glossip up the river." On September 16, the Oklahoma Court of Criminal Appeals issued a two-week stay of execution to allow consideration of new evidence in the case, including Scott's allegations. Later, a second former inmate, Joseph Tapley, came forward to say he was "sure that Justin Sneed acted alone." Tapley, who had been Sneed's cellmate, said Sneed offered "very detailed accounts" of the murder, but "never gave me any indication that someone else was involved. He never mentioned the name of Richard Glossip to me." Tapley also said Sneed, "was very concerned about getting the death penalty. He was very scared of it. The only thing that mattered to him was signing for a life sentence." The defense filing alleges that, after the stay was granted, Scott was arrested for a parole violation and questioned by Oklahoma County District Attorney David Prater, whose office prosecuted Glossip. It says that "Mr. Prater specifically told Mr. Scott that he ordered this action so that Scott would be forced to talk with Prater and his investigator." An arrest warrant was also issued for Tapley after he told Prater he did not wish to speak with him. Prater sharply denied the allegations of intimidation, calling them "lies." The U.S. Court of Appeals for the Fifth Circuit will hear arguments on September 23 regarding Scott Panetti's competency to be executed. Panetti is a severely mentally ill man who represented himself at his trial wearing a cowboy costume, and attempted to subpoena the Pope, John F. Kennedy, and Jesus Christ. As the court prepares to hear Panetti's case, opinion pieces in two Texas newspapers used it to illustrate larger problems with the death penalty and mental illness. 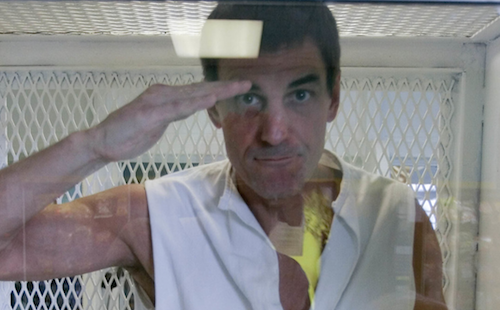 In an op-ed in The Dallas Morning News, conservative commentator Richard Viguerie said Panetti's execution would not be "a proportionate response to murder," but "would only undermine the public’s faith in a fair and moral justice system." He wrote that people with severe mental illness, like juveniles and people with intellectual disabilities, should not be executed because they have diminished capacities to understand the consequences of their actions. "The rationales for the death penalty — retribution and deterrence — simply do not apply to a severely mentally ill individual like Panetti, who believes that a listening device has been implanted in one of his teeth." 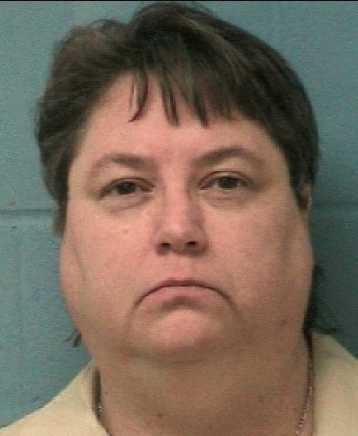 Executing Panetti, Viguerie said, would be "a moral failure for conservatives." A Houston Chronicle editorial discussed Panetti's case and the case of another mentally ill capital defendant, James Calvert. A Texas court terminated Calvert's self-representation after, in the words of the editorial, Calvert "took to defending himself with a farcical style that likely did more to hurt than help his case." Just before the court terminated Calvert's self-representation, a court deputy administered an electric shock to Calvert, causing him to scream for several seconds. The editorial said that "[t]he ultimate punishment - death - merits our highest standards of care" and that "judges must carefully balance the Sixth Amendment's right to represent oneself with the guarantee of competent representation." Calling for the end of the death penalty, the editorial board wrote, "Cases like Calvert and Panetti's show how something as serious as life and death can easily be turned into a farce." Read more about Federal Judge: Delaware Execution "Highlights Profound Failings in Our Judicial Process"